But as you know, I have a lollipop for a head (to read: sucker) so was inspired to read on: What is cockroach milk, exactly? Is it really that good for humans? And more importantly, how does one go about milking a cockroach? 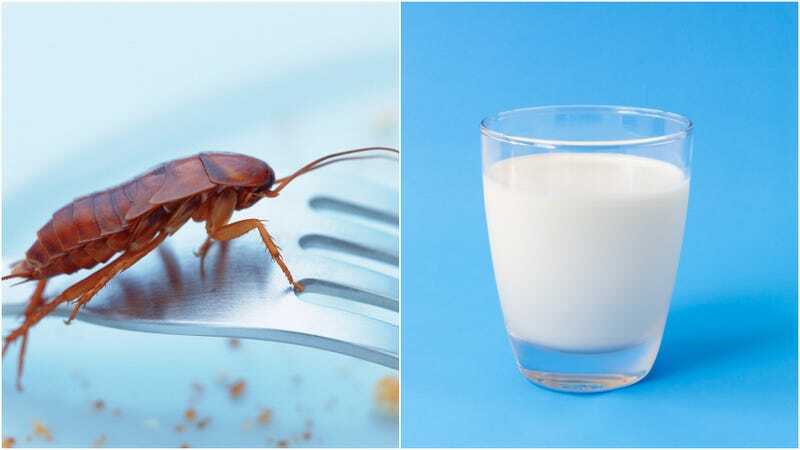 Great, so cockroach milk can save us all. But how do you access cockroach milk exactly? Fortunately HT linked to a previous Inverse article that describes how: “As it stands, it’s a labor-intensive process.” No doubt! “Scientists carve out the cockroach’s midgut with a scalpel to harvest the milk, which actually is more the consistency of crystals.” It takes one person a half day to process the milk of probably two or three roaches. So that eventual trip from lab to grocery store will probably take a significant amount of time. Sorry, baby roaches, but we know you’ll just make more of you. And as more food trends turn toward the insect world, we expect to hear even more about cockroach milk, not less. Sorry, Twitter.